1.From June to August, I had the opportunity to intern with the Ohio Legislative Black Caucus, the oldest black caucus in the country. I was able to have two articles published in the Minority Business Enterprise Magazine and had the opportunity to learn about small town politics in Lima Ohio. I was able to conduct research and gather data that was to be used by both the caucus and the Ohio Democratic Party. I believe that my confidence has improved significantly over the course of my internship. I would say that I have always been nervous about going into politics as an introvert. I had believed that it would be hard for me to understand the needs of constituents only because I felt as though I did not have adequate conversation skills. But after speaking with other interns, constituents, and representatives, I feel that I have the knowledge needed to help minorities across Ohio, and now know that I am able to make connections with the people I want to help most. Not only am I confident in this manner, but I also feel better prepared for graduate school and have a better idea of what to expect on my future career path. During my STEP project, I developed friendships with other young black leaders. Since I had been insecure about my social abilities, it was nice to hang out at the movies and go out to eat with people that I really enjoyed being around and shared common interests with. We often discussed ways to better serve the black community, various controversial legislation in Ohio, movies, music, and office dynamics. It made me feel as though my interests weren’t as isolating as I had previously thought and made me realize that perhaps I just wasn’t in right environments previously. Another experience that made my internship all the more real for me was when I had the opportunity to travel with other interns to Lima Ohio to start an OLBC branch in that area. The local politicians there explained to us how members of the mayoral and other elected offices had been and still are in power, and describes how they used immoral means to maintain that power. During that conversation, we had also discussed how members of the black community, especially in rural and small town Ohio are usually out of touch with local politics, making it hard to enact change. Because of this, the African American elected officials made significant efforts to go door to door to reach out to their constituents during elections. This reminded me of the fact that the needs of African Americans cannot be homogenized, and that everyone is facing a different battle. Politics is difficult but can be made easier if you attempt to understand each unique problem. Lastly, the opportunity to attend the OLBC Gala, as well as the opportunity to research projects and legislation that OLBC members have sponsored throughout the year truly inspired me to work as hard as the members I look up to. Although the OLBC women continuously pass legislation designed to help women, Ohio workers, and children, they are subjected to discrimination in the workplace. I believe that this change in me is valuable for several reasons. A boost of confidence in my personal character will help me across all aspects of my life, including work, social, and political affairs. How I carry myself now will allow people to see me as a confident, inviting person, which better reflects how I feel on the inside. The new knowledge that I’ve developed about the political realm I plan to use throughout the rest of my career. This summer, I interned with Target as a software engineering intern. I was placed on the Stores Hosting team, which is one of the teams in charge of maintaining the servers that all Target stores run on. My specific project on the team was to work on a web application that manages the new wireless locks on the server room doors in each Target store. One of the most important changes in myself that I noticed over the summer was how much more confident I became as a programmer. While at the beginning of the summer I would hesitate to make suggestions or corrections to the code, I afterwards felt comfortable enough with my team and my own abilities to freely say what I thought would make our project better. I also felt that I gained a deeper understanding of the technology industry as a whole. Although Target is ultimately a retailer, both it’s technology team and tech culture have grown to become competitive with many large tech corporations in recent years. 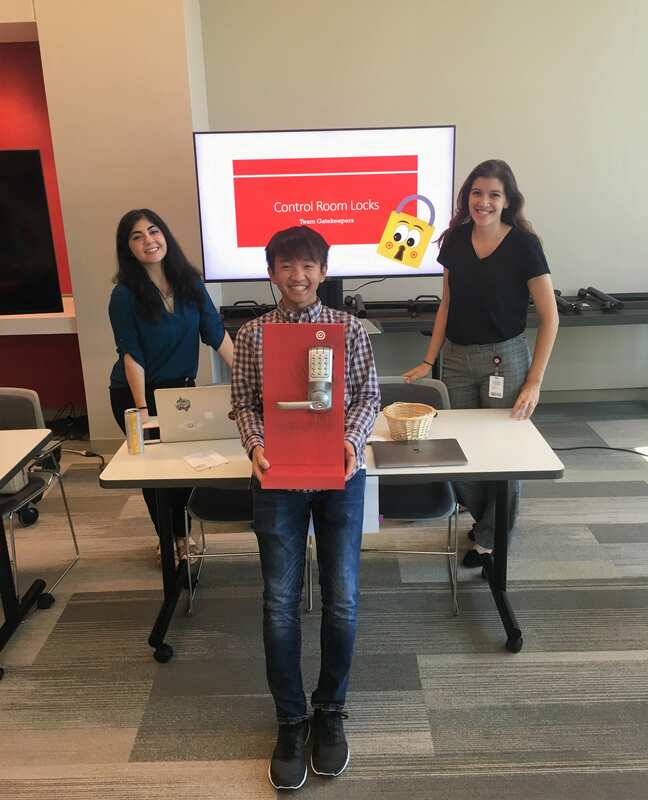 Over the summer, I learned about the history of Target’s tech brand and the steps they’ve taken to become recognized as an innovator in the field, which I hadn’t known even before I applied. In my personal experience, I feel that I’ve learned more practical, transferable skills more quickly in my summer at Target than I would have over a year in college. While university courses certainly helped lay a foundation for the skills I learned in an industry position, since everyone in my project team was starting from little to no experience with the technologies we were using, it felt as though the internship was a long, intensive learning process in itself. Many technologies that I’d started out barely understanding or having never heard of before the summer began, I understood well enough to teach to someone by the end of the summer. It was an incredible process to go through, and one that I don’t think I could have gotten anywhere else. The server room locks project we worked on was long-term – it began before the interns joined the team and would continue after we left. Our job was primarily to rewrite the code to be shorter, more manageable, and ultimately left in a state where it would be easier for others to add more features. At first, I was disappointed when I realized that we wouldn’t have a nicely finished product at the end of the summer to show for our work – we would just have the same application, but written better than when it was given to us. Towards the end of the summer, however, I realized that our project was a realistic example of what we would be doing as full-time employees. Often, as a programmer, you aren’t starting brand new projects, but rather taking them over from other teams and building upon work that other people have begun. I think that this turning point occurred for me when the other interns and I were left on our own one day late in the summer to develop a part of the project, without any guidance from the more experienced team members. Although it took us quite a bit longer to read through the code and figure out exactly what we needed to do, we were ultimately able to fix an important bug in the code and put a working version into production. It was the first time that I felt proud of what I’d done as an intern, and also when I realized how much I’d learned since starting my internship. The experience of working with and getting to know my project team also formed a huge aspect of my internship. Although our team was comprised of both college interns and employees who’d been working in the tech industry for decades, I was surprised to see that the experienced members were just as willing to learn and take suggestions as we were. I also noticed and appreciated how everyone at Target seemed willing to do whatever they could to ensure that the interns got what we wanted to out of our time there. My internship experience has given me valuable insight into how it will likely be to have a career in the field I’m studying. I got to discover what things I like to do in computer science and want to pursue in the future, and perhaps more importantly, what I don’t like. I feel that the confidence I’ve gained in my programming skills and my ability to learn this summer is irreplaceable. With the connections I’ve made at Target and the return offer I received, I think that I’m in a good position now to apply for a career in the tech industry after graduation, or anywhere else for that matter. This internship was within the Promotions and Marketing Division of the Columbus local Rock Alternative Radio Station, WWCD102.5. Throughout this experience, I completed various tasks to develop not only my contacts within the radio and music profession here in Columbus. Weekly I would do things such as write PSA’s, create and organize complex excel spreadsheets, directly interact with employers and customers organizing and throwing events, as well as many other related activities involved with the organization and communication within the independent company. Going into this experience, I thought that I had the general idea for how things were going to be. The main purpose of this experience in my eyes was to see and understand what being at a workplace that was small and independent from larger corporations was like. One of the biggest things that I had the biggest impact was how close of interaction I got to have with people that had been involved with the station for longer than 35 years. The environment pushed me to be creative in ways that my brain was not used to, and that was thinking in a way that would please the public. Creating convincing messages to sway the listeners towards going to a certain event either the station or a business customer was putting on. A lot of editing and thought was dedicated to creating as perfect of a message that we could. With the help of other, more experienced, interns as well as my advisors I was able to fully utilize my time to create the best experiences for customers as well as network effectively with the team I was with. As my minor is Music, Media, and Enterprise to my Marketing Major, this internship really helped me develop professionally in a small section of the Columbus business world. It really showed me how the jobs that I would be involved in are more than office jobs but a hands on experience that all levels within the company interact with. One thing that I really liked about this internship was that every week was different. We would have weekly, set office hours, but also every one or two weeks there would be an event that myself and other various interns and advisors/top marketing people would attend. These events specifically led to some really awesome experiences that I feel really showed me that Marketing and Promotions is something that I could see myself doing as my profession for a good part of my life. The people I met through this internship has definitely influenced the way I perceive the professional world as well as my viewpoint on where I want to see myself in the future. One particular experience that I had that I felt really showed me the power of promotions was at an event that we were working that took place at the Gateway center. Live music was happening outside and a crowd was gathered to listen to said music. Myself and a few other radio station employees were there, broadcasting straight from Gateway onto the radio station for an hour and then after that just interacting with the crowd and making sure everyone had a good time. There was a particular little girl who kept coming up wanting to play the games that we had at our booth. Of course, we were very nice to the girl and she had a big smile on her face the whole time. The mon of this girl came up and she looked like she had tears in her eyes, she thanked us for being so nice and patient with her daughter as she has severe autism and most people would just dismiss the girl. Seeing that emotion that I could evoke from just being a good person and making that young girls night a better night really showed me that even the smallest actions can have a large impact on other people, and that really is the magic of marketing and promotions. The direct and indirect interactions that can occur between a business and its customers can make a huge difference and impact on people’s lives. One person that I had the pleasure of working closely with was the head of the Promotions team, Antonio Arellano. 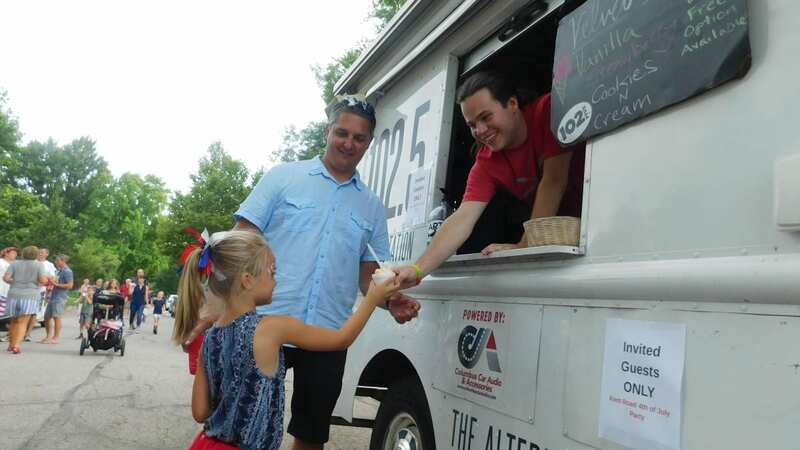 Having worked for the radio station for over 10 years since he graduated from Ohio State with a Communications major, he has had an enormous amount of experience within the industry. He has worked closely with numerous different types of clients including various management teams from other business, famous or local bands and music artists, conventions put on in Columbus, and many other types professional interactions the head of a promotions and marketing department would have to be involved with. Working closely with Antonio made it so he was able to show me how to handle day to day issues as well as specific, client based issues. He was able to teach me essential on-the-spot critical thinking skills by asking me how I would go about solving an issue before he gave his input on how to solve something. This kind of work was exactly what I was looking for and Antonio really had me step up to the plate and demonstrate what I had to offer. Overall, my experiences through working the various different events as well as the people I was able to share those experiences with have helped me discover more what I want to do with my future. It has showed me that the typical, nine to five job is not something everyone must have. There are plenty of jobs out there that are essential and still enjoyable to have. Having a hands on work experience as well as direct customer-provider interaction has proven to be an extremely enjoyable work experience that I now know I would like to seek out in the future when looking for a full time position within in a company. This does not mean I am not opposed to the typical nine to five job, however I now feel a lot more confident in my abilities as an employee to handle the type of jobs that would be more than just sitting behind a desk. Going into this I had little to no idea as to what I wanted to do with my life nor the different types of work experiences I could search for post-college life. My real goal for this internship was to not only challenge myself, but explore an opportunity that I felt was unique from the typical internship. 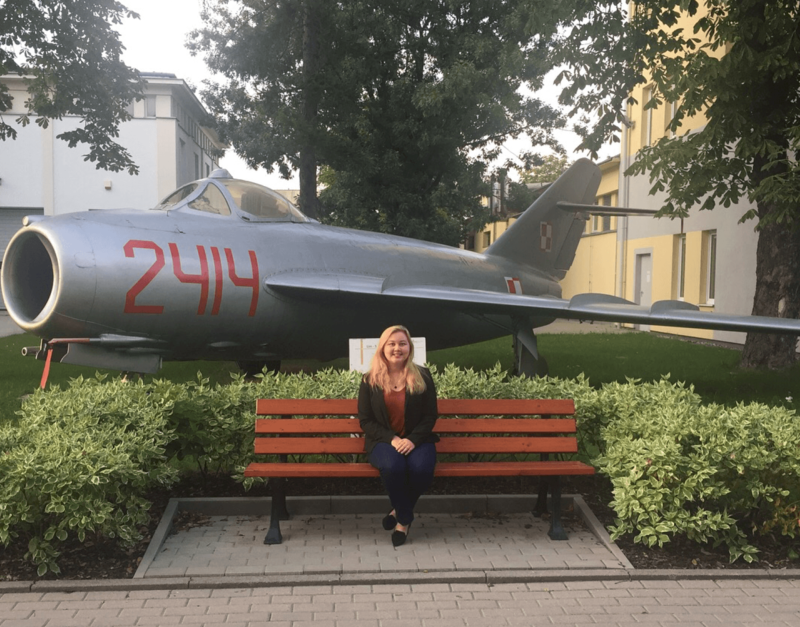 The knowledge and experience that I gained from embracing this internship has overall shifted the direction in which I see myself pursuing a career in the future. On a more personal level, this internship challenged some major insecurities I had about my personality involving interacting a lot with people I did not know and also pushing myself outside of the creative box. I never thought I was the best at working in high stress situations with people I did not know very well, but this internship taught how to manage to do that. It definitely created the foundation for me to continue to work out my interpersonal skills. This internship has overall changed me in so many ways. It has helped me develop my skills professionally and personally, and has helped immensely when it comes to making decisions regarding my future career path. I now have a broad understanding of what I like and dislike within a workplace environment as well as the types of businesses that I would like to see myself working with in the future. CD102.5 has truly helped me feel like I have many different possibilities for my professional future that I could also end up being very happy with. I worked at Honeywell Aerospace as an engineering intern. I was assigned projects and performed tasks in collaboration with the full-time engineering team. My manager gave me more responsibilities in this internship than in the previous year. The largest of those responsibilities was a research project to find a qualified cheaper alternative electrical connector component for future designs and/or replacing them in existing designs. I collaborated with mechanical and electrical engineers as well as technicians and designers, but all this collaboration still left plenty of room for me to makes mistakes and hit snags. It left me with a new confidence in working on things I was unfamiliar with, because even expert engineers, with years more experience than me, did not foresee many of the issues, but were supportive of my efforts for just continuing onwards. I enjoyed taking soldering training with one of the other interns at my site, Jake. We were both excited to get to learn a new hands on skill, and then also got to spend days working using that new skill, soldering together the connections for my test rig to check the quality of the connector candidates I had chosen. We did literally hundreds of solder connections, it made our training worth it. Learning a new skill in order to put together testing equipment that I needed for my project was a beneficial experience and made better by having a partner to work with. This last summer I was also the only intern that had already had an internship at Honeywell, so it was also different having the other interns come to me as a somewhat more experienced person at the site. On a few occasions I had Stefan, one of the interns come to me and ask for help doing the 3D modeling for a part he was working on then asked who to go to have the modified part printed on the company’s 3D printer. 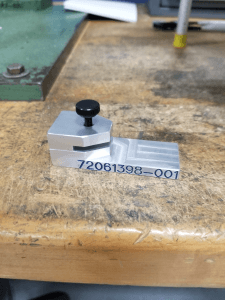 I was proud to get to use the skills I had picked up the previous year doing hundreds of 3D models and help out another intern on his project troubleshooting a product’s defects. 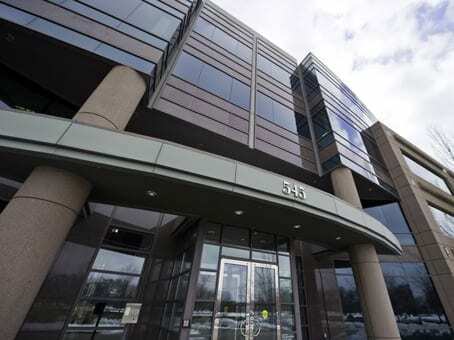 I had good relationships with many of the people at the company, but I think that the influx of younger people at Honeywell Urbana, as well as a second year there and hence more familiarity with the company and work, I started having a friendly relationship with the other employees at the company and feeling more like a colleague than just an intern. The gradual nature of this feeling did not have any single event, but things like going out to lunch on Friday’s, foosball in the rec room, and chatting on break time. It may seem like an insignificant thing, but I would feel confidant asking everyone I worked with for a reference, and that is a valuable thing. Learning new skills like soldering, 3D modeling, researching and testing products don’t have much personal value, but they certainly skills that some employers will look for and make me a more employable person. This is valuable of course in searching for a job after college. Gaining insights into corporate culture, working in an engineering team at a large company, and gaining confidence in myself even in work I am unfamiliar with. These are more valuable to me personally. These are somewhat important in making me a better future employee, but I find them more important to me, just to know how to for deciding at what kinds of places I would want to work at in the future. It ended up pretty messy with all the wires, but this was the heat sink we used. 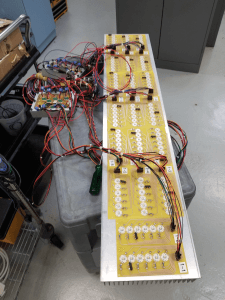 It held 100 LEDs to to visually show whether the connections for the electrical connectors stayed secure throughout the environmental stress testing. This was a part that I designed to be utilized as a fit check gage for helicopter searchlights. This one was needed as a readjustment to the former check gage after the searchlights were redesigned. Please provide a brief description of your STEP Signature Project. For my STEP signature project, I took part in a 12-week internship at Forester’s Financial in Dublin, OH. Esch week, interns were taught about the world of financial planning by the regional vice president of the company. 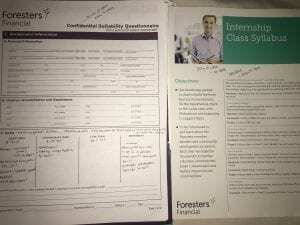 During the first week, we were given the booklet that advisors fill out when they are with a client. Each week, we went in depth on a certain section of this booklet. What about your understanding of yourself, your assumptions, or your view of the world changed/transformed while completing your STEP Signature Project? My internship at Forester’s was my first internship ever. Being out of the classroom setting and gaining real-life experience in an office was eye-opening. During the semester before taking on this internship, I started taking my core finance classes such as Corporate Finance and Investments. I enjoyed the lessons I was learning in these classes — particularly what I was learning in Investments. When I started working with Forester’s, I had the opportunity to see my knowledge from investments in play, as a huge part of financial planning is making investments and growing wealth. However, what I didn’t realize until I got to this internship is that this industry relies on communications and human contact almost just as much as it does finance. We had weeks in the internship where we would solely discuss the various experiences of those who worked in the office. We learned that the way that we act/speak towards a client weighs heavily on whether or not they are going to work with us, which is the first step to creating our network. The math and financial lessons were actually the easier parts of the internship, as we’d all seen them in classes before — what I learned as a result of the internship is the importance of self-image, manners, and social intelligence in this industry. What events, interactions, relationships, or activities during your STEP Signature Project led to the change/transformation that you discussed in #2, and how did those affect you? The events that led to my transformation in how I view the Finance field was listening to the experiences of those who had worked in it first-hand from current Forester’s advisors. We got to hear from someone who just began working there a few years ago to someone who has been with Forester’s for over 30 years. 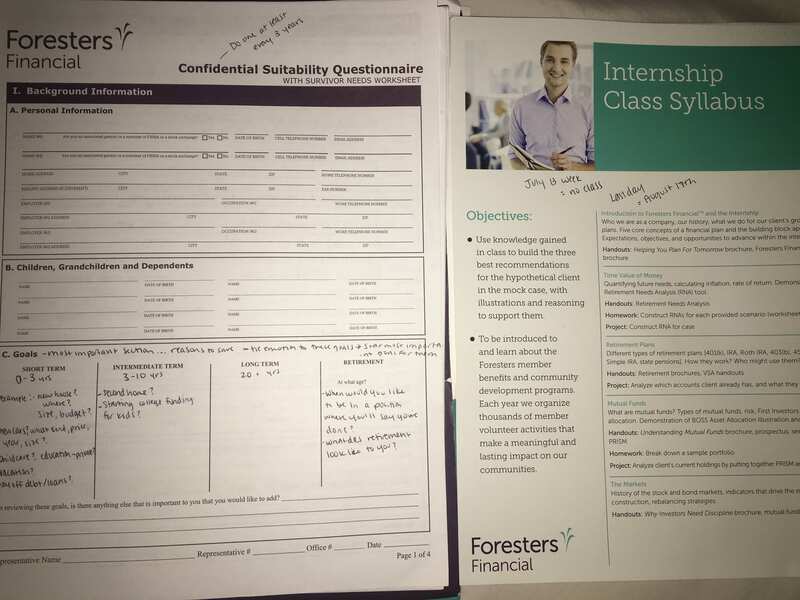 A somewhat recent college graduate and Forester’s advisor spoke to the interns during the first few weeks about his experiences in Financial advising. He taught us how important it is to build a network and not burn bridges, as those are the key to beginning a career in this industry. He focused heavily on his first two years in the industry, and how he was only making about $40k/year because of his lack in networking and finding clients — although that quickly changed once he found a few good clients who would then give referrals to their networks. He also ran us through his favorite programs for building client portfolios based on their needs. The week that we spoke with this advisor, we were mostly focused on how to make money and the quantitative aspects of the job. A few weeks later, we spoke with an advisor who had been working with Forester’s for over 30 years. He focused more on the present and how he maintains his network. My favorite day was when he told us about a party that he threw for his clients at a local venue to show his appreciation for their trust in him. He also told us about gifts that his clients had given him throughout the years to recognize his good work in managing their money. There was one particular story of an old woman who he had worked with for a long time making him his favorite cake and dropping it off to his home as a token of gratitude. When he spoke to us, I realized how important the human side to this job was — it wasn’t all about making sales and growing wealth. A lot of it depended on the experiences of the client and making sure that they are treated with empathy and an open mind, as they are trusting an advisor enough to hand their savings over. This change is extremely significant in my life, as it was a peek into the industry I am going into. Through classes at OSU, I learn how to solve the math behind the projects and cases that I am given, however rarely do we discuss the human side of things. As a result of this internship, when I interview for jobs I will be able to offer more insight on how familiar I am with the culture of the industry rather than just showing off my quantitative skills. Also, when given a hypothetical case, I am able to find issues to take into account that are non-quantitative and can have a large impact on the situation and financials in the end — such as the attitude of a CFO when dealing with clients and how that can heavily impact the outcome of the deals. Having these soft skills as an addition to my hard skills offers me a wider perspective on the financial world as a whole and gives me more opportunities. This summer I spent two months in Los Angeles working with Groundswell Productions, an independent film-financing company. Groundswell produces shows such as Snowfall on Fx, SMILF on Showtime, and The Magicians on Syfy. Over the course of the summer, I read incoming scripts and wrote coverage on the material, providing feedback on scripts to be considered for production. Essentially, I had a hand in helping sort through and find scripts to option for the industry. My experience at Groundswell greatly changed my perceptions of the industry and my own craft. 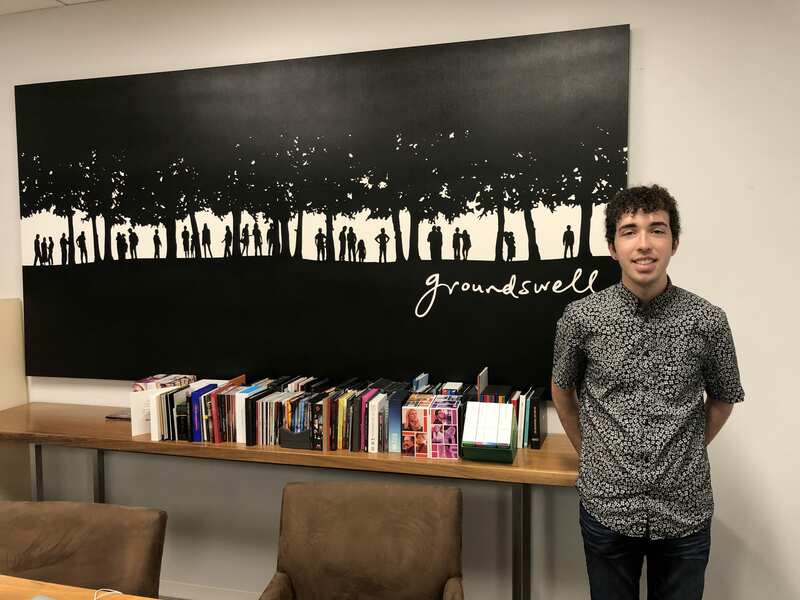 The internship provided an insight into the industry that I would have not received otherwise; my time at Groundswell helped me get a better since of the industry as a whole and how to “break through” after college. When I began at Groundswell, I had the pleasure of meeting the two personal assistants of the office (Groundswell consists of two executives and two personal assistants). I was able to talk with them and discuss the ways they were able to get to where they are today. Before this, I had never considered the avenues and channels one must take in order to maneuver Hollywood. I quickly learned there is no direct route. In fact, both assistants began their careers in the lower positions of talent agencies, using the connections from those offices to branch off into more specific jobs. Now, I look at the industry as a series of networks that I can bridge in order to get to where I need to go. There is no direct path and, as such, I need to be constantly expanding my connections and reaching out to more people in LA. Furthermore, my time at Groundswell also transformed my perceptions of screenplays and the fundamental components of the writing process. As I read countless scripts over the summer, I began to notice subtleties in the writing that I had not been taught in my classes. It was similar to how reading more literature grants a fiction writer more ways to identity what they like in writing. And so, as I continued to read, I felt as though I was becoming a better screenwriter as a result. Through this process of reading and then summarizing for my position, I was able to observe key tactics in well-written screenplays, forms of dialogue and narrative that benefited tactics in my own writing. 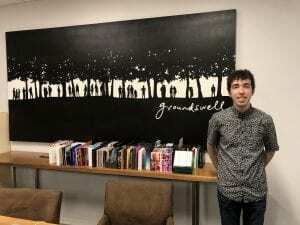 My experience with my internship was first and foremost created by the connections I made with the groundswell assistants and executives. Through these connections, I was able to ask questions about the industry and further define my own goals for my career. I was able to ask their opinion on several aspects of the industry and for ways to help find a position after college. Furthermore, I established connections that I will be able to lean upon and reach out to when I make the eventual move to LA. My internship also helped me establish a firm footing in LA. I was able to explore the city over the summer. Now, I feel as though the city is less daunting than it was before; I now have a certain familiarity to the city streets that I did not before. Additionally, my time in LA allowed me to explore and gain a repertoire of potential places to apply to after graduation. I now have a better understanding of places to live, agencies to apply for, and people to contact once I am in the city. Without this project, I would have not been able to scout out the city. In LA, I was also able to reach out to some other contacts in and out of the industry. I stayed in an apartment building near UCLA in Westwood. There, I had a roommate that became a strong friend and connection in the city. Through her own internship, I also secured more contacts–the city of Los Angeles has people who know contacts in all areas of the industry. My roommate, Sam, became a great contact and friend–we still keep in touch–during my time in the city. Additionally, I met up with alums from OSU in the industry. We met for lunch and talked about coming from Ohio into the film world. These connections provided a wonderful perspective on how to survive the industry after graduation. This experience has provided me the connections, confidence, and drive to secure my dreams in Los Angeles. Through this internship, I have gained connections I need to secure a position in the industry, improving my chances for employment after graduation. At Groundswell, I learned that this is the industry I want to go into, discovering ways to form narrative and expand my personal connections. I have no doubt that the connections I made through this internship will pay off in the future. The people at Groundswell are all willing to help out those who need to break into the industry and I am confident that my work with them has allowed me to reconnect in the spring, reach out, and ask for help and guidance in my professional endeavors. For my STEP Signature Project, I interned with one of my professors and mentors, Dr. Brenda Buffington. I shadowed and assisted her in two of her workplaces: Buckeye Wellness and AccelWELL. 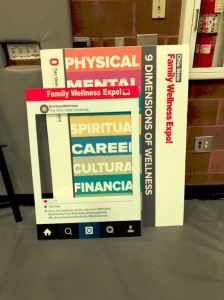 At Buckeye Wellness, I was able to help organize the annual Family Wellness Expo, work on our new wellness initiative “Just Breathe”, and manage social media posts. At Accelwell, I got a firsthand look at corporate health coaching. The biggest transformation that took place for me during this internship was my desire to be in a public setting to the desire to work in a corporate setting. When I started, I thought that I would prefer working for the university in Buckeye Wellness, because I was interested in wellness program planning and working with larger groups of public people. However, I much more preferred working in the corporate office of AccelWELL! I enjoyed the atmosphere more, the coworkers, and the clients. I found that I would much rather work one-on-one with clients as a personal health coach than to plan programs for larger institutions. For me, that was a big realization about how I wanted to go about finding a job when I graduate. The first aspect of my internship that led me to this change was the duality of being in the AccelWELL office and the Buckeye Wellness office. Being able to experience these two settings side by side was so helpful in leading me towards where I do and don’t want to work when I am ready to start a career. I really do think that internships are so important, not only because you might find yourself in the job that you really want, but also because you find out what you don’t want to do. It’s just as valuable to find that by deciding what you don’t want, you are more clear on what you do want. If I had only seen Buckeye Wellness or only seen Accelwell, I might have come out of this just as confused as I was before. But being able to compare the two settings helped me solidify my decisions moving forward. The second aspect that led to this transformation was my relationship with Dr. Buffington. She really let me form my own opinions and preferences, and let me see how both sides of her career are similar and different. She was open when I asked questions about how her career affects her life, and she encouraged me to explore both options. Her energy is contagious anywhere she is, and her work at AccelWELL is new and exciting and personal. So she helped me come to my own conclusions, which led to my transformation of being more confident in my future career choices. The third biggest aspect that led me to my change was the office at Buckeye Wellness. Everyone was so kind and hard-working and team-oriented. They, too, let me come to my own conclusions about public and private settings in the wellness sector. They gave me enough responsibility where I was able to try it out for myself, and see if the kind of work that they do was something I could see myself doing. I also loved engaging with them each day and seeing how passionate they were about their work. 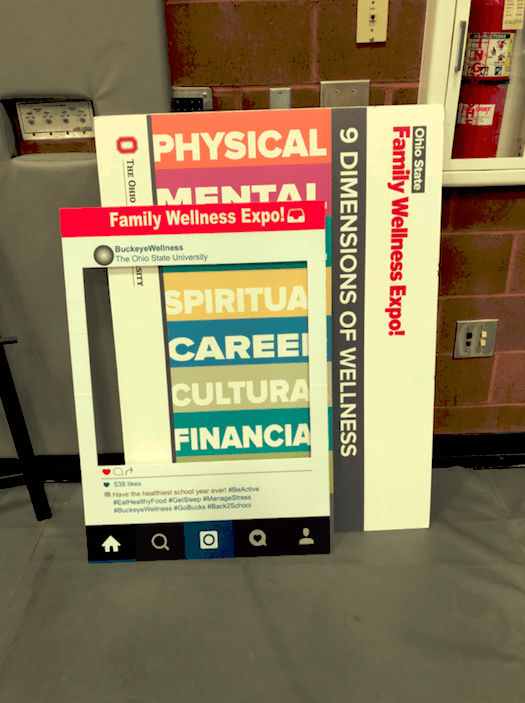 Some fun frames for taking photos at the Family Wellness Expo! This overall change was so valuable for me for academic, personal, and professional reasons. Academically, it helped me to decide which classes I wanted to take in my last year. I decided to stay in my coaching courses, but not take the program planning ones. That way, I could take more courses that were interesting to me! Personally, I feel so much more confident in what I want. I know what kind of setting I want to work in and I know what kind of job I want to look for. Before this summer, when people asked me what I wanted to do, I felt a lot of anxiety because I really had no idea. I made so many connections in this field, and it is exciting for me to be able to explore those in the future. This internship really shifted my view of the wellness world and my place in it, and I am so grateful that I was able to experience it. This past summer, I interned for one of the world’s leading third-party logistics companies, C.H. Robinson at their Cincinnati office. 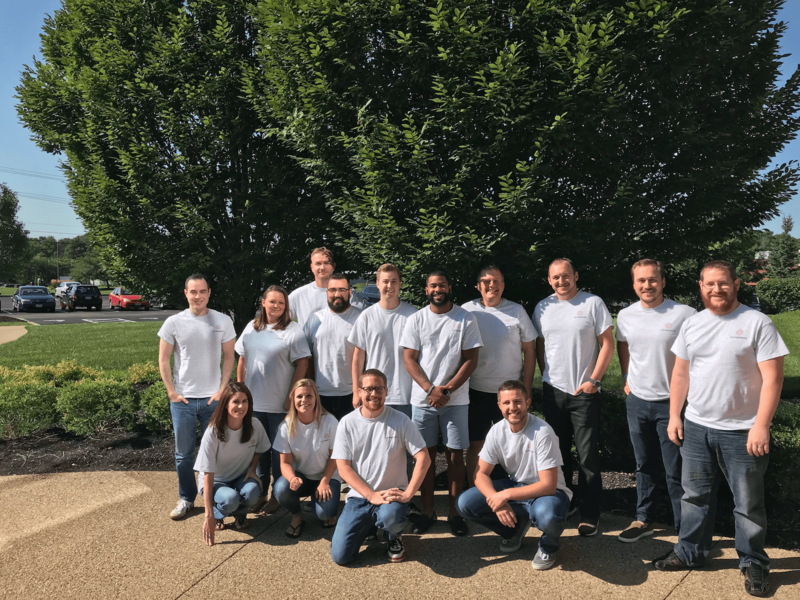 I had the opportunity to shadow, learn and practice each of the company’s job families: account management, sales, operations and carrier account management. My goal with this STEP experience was to grow as a professional and I believe this experienced transformed my perspective on what it takes to succeed. In this diverse and always-changing market, no day is the same. I had the misconception that whatever business job I ended up with would be punching away at a computer in my cubicle- this was not the case. C.H. 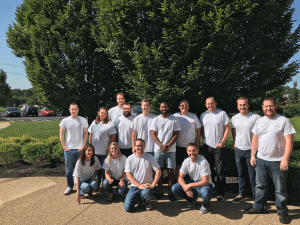 Robinson’s open and flowing culture allows for fluid communication between job families to optimize the success of the office and the company as a whole. I was also given the opportunity to apply skills and styles from class and other work experiences as well applying life lessons and recognizing the fact that everything is not going to be perfect- taking a step back, a deep breath and begin to handle the situation to the best of your ability. There were will also times when I needed to be quick on my feet and handle a situation I wasn’t necessarily prepared for. I quickly learned that what I thought I was knowledgeable about was only a fraction of what all I needed to know to be full-time employee in the supply chain industry. However, with dedicating myself to being passionate about what is in front of me- I learned a lot about the industry, the company and myself. When I arrived on my first day, I was informed that on top of learning each of the job families and the day-to-day operations, I would have to take the lead on, organize and run two projects. Both projects had zero direction aside from the title of each: “Fundraising or Community Service Project” and a “Business-related Project.” I wasn’t used to having little direction (or as I later learned- freedom) on a project this big. I was open to do whatever I wanted. With limited knowledge on the company and the industry, it was more logical to start on the Fundraising project. By asking around, I quickly discovered that multiple people in the office were either directly affected or had someone in their lives who was affected by breast cancer, so this cause easily the choice to raise funds for. Next, was deciding how to raise the funds. When I first got to C.H. Robinson, the collective-environment wasn’t the most welcoming. I wanted to find something that everyone could get excited about and didn’t have to leave the office for. I was inspired by NBC’s, The Office to hold a more realistic version of an “Office Olympics Week.” I drafted five or six of an agenda for the planned week and like anything in the world, none of them made everyone happy. Someone had something negative to say about each different event. So to compromise with those who didn’t want to participate in certain events and raise the most funds, I made each event optional but if an employee decided to go this route each event was more expensive to participate in individually, whereas, an employee could donate $25 at the beginning of the week and that was their buy-in for every event. 95% of the office participated and raised over-$1,000 for Breast Cancer Research through the Susan G. Komen Foundation. Some people did not participate at all and talked poorly about the week as a whole but I refused to let 1-2 people make me feel poorly about a week that was truly a success. There were times I was caught off-guard by these people and the comments they made, but I quickly smiled and made sure they knew I understood they were not interested and that I respected their decision. After a couple months of learning as much as I could about the ins-and-outs of the each job family and the daily operations, I decided on a “business related project that was built on a common issue/goal the office manager always pressed: growing Truckload volume. In simplest terms, this meant growing business. I had witnessed some holes in our onboarding process, and opportunities to grow within current customers. Before I presented my project to our office manager and other upper-level employees, I wanted feedback from some our more veteran employees and I got mixed signals. Some took things personally and recommended I went a different route, some told me I was completely wrong, while others had positive feedback and even after a long day of conversations and dinner after work, I came to a conclusion on my project I was feeling strongly about. I digested what others had told me; removed some things and kept some things that others suggested I remove. When I presented, again, I got mixed feelings. I welcomed the questions and concerns because I prepared for the devil’s-advocate-questions. After some great back and forth, answering questions and getting my audience to comprehend some underlying explanations and how my plan would be put into action, I had a sales executive ready to implement some of my suggestions and a senior account manager want to take things to corporate. The sales executive added two more customers this week and doubled his TCNR by asking the couple questions I suggested the sales team ask. Within a week of presenting, I had the opportunity to present my ideas to corporate and they plan on implementing things. This experience has taught me to be patient in all things because at first the summer was slow moving. As much as I reached out to others either asking questions about their positions and the company as a whole or even on a personal level, I couldn’t breakthrough. 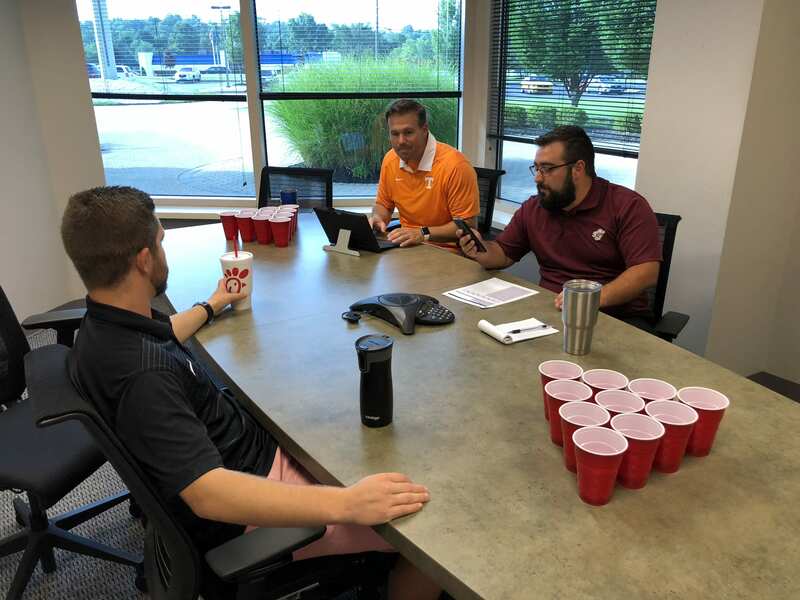 After the Office Olympics Week, there was a spark of camaraderie between employees that had only ever interacted with each other as coworkers. I learned that it was acceptable to ask as many (reasonable questions) as possible because at the end of the day “you get out what you put in.” This opportunity has led me to a full-time offer at C.H. Robinson’s main Midwestern office in Columbus. Talking about my experience with other recruiters of Fortune-500 companies has also landed me multiple interviews and other job offers. This summer, I remained on campus to continue doing volunteer undergraduate research. I did not have my own personal research, but was still very involved at the lab. This summer, I learned how to handle mice, how to give them intraperitoneal injections, along with feeding them and changing their cages. I also was trained to transfer behavioral test video data from the camera to the computer storage drive, which helped the graduate student in my lab greatly! 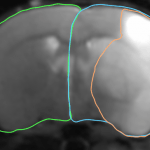 I also traced magnetic resonance images of mice brains, to calculate the brain volume post stroke. This was done by circling the left and right hemispheres of the brain, along with the stroke infarct. I would then take that data and input it into an excel template that my PI would analyze. This summer I was very busy doing research for STEP, working at the Wexner Medical Center, taking the MCAT and on top of that applying to 30 medical schools. It was a summer filled with lots of activities and learning how to balance different parts of my life, even without taking classes. What I learned about myself this summer through being involved with my STEP project and the other things was how I prioritized what was important to me. I started to enjoy multiple parts of my life rather than just focusing on a couple things and ignoring others. I was able to balance STEP, work, medical school applications and my social life much better than I ever knew I could. Adding my STEP project to my other activities proved to myself that it’s possible to do well at many different things and enjoy multiple parts of my life at the same time. At the beginning of the summer I had not started working yet so I had a good amount of free time. But then my work started, I received secondary applications for most of the medical schools I applied to and I had gotten trained on how to do more in the lab. I started to feel overwhelmed, even without school work to do. I didn’t think that my first summer in Columbus was going to be very busy, but I was wrong. Quickly I found out I had underestimated the time it took to fill out nearly 30 secondary medical school applications, writing two to four different essay for every school. I quickly learned how to budget my time better than I had done before. The days I had to do IP injections on mice, I had to get to the lab by 7:00 am to make sure I had time to do them before work. The graduate student that I worked with did all the mice behavior videoing and would have me transfer the data for her since it was pretty time consuming. At the beginning of July, I had gotten a little behind on the transfers so I decided to go in to the lab on the 4th of July to get them done. I was happy to get them done on my day off from work and still celebrated the 4th later that day. It was then that I realized I could manage my time how I felt best fit for me and accomplish my goals, while still doing other things I enjoy like being with friends. Although STEP has ended, I am still volunteering in my lab as much as they need me. I started to get busy with school work and other activities toward the end of August, around the same time my PI needed me to complete about 20 MRI tracings in a short amount of time. So, I had to budget my time and plan my MRI tracings around my school work and other activities. I made sure to do a certain amount each day and finished them for my PI. This proved to me that unlike the last couple years when school was my life, now I learned that school is just a part of my life and I can now, more comfortably, incorporate other things, like research, sports and my friends more often. The transformation that I was expecting, this summer was different than I thought. I was expecting it to be only about understanding more about science and how a lab works, which I did get, but even more, I learned how to balance my life better than ever and enjoy all aspects of it pretty regularly. This is very important for my future as a physician because physicians have very busy lifestyles and you must be able to step back and enjoy life and not just be absorbed in your work all the time. I am very happy that I am learning how to do this sooner rather than later. I am far from a professional at time management, but I am much more comfortable with myself and my future thanks to being successful during my STEP project this summer when I had many other things going on in my life.